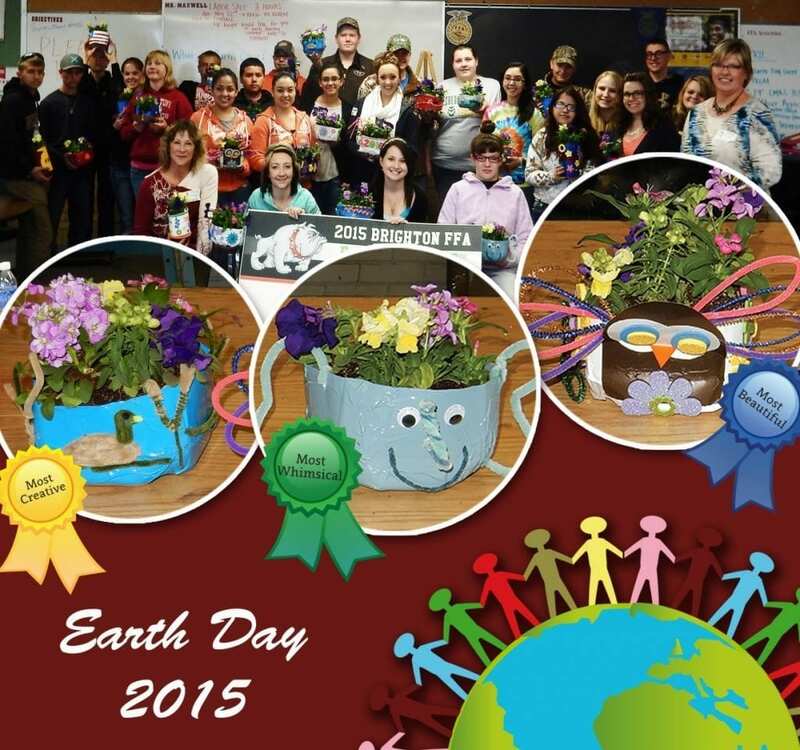 Earth Day was celebrated with the Brighton High School Horticulture class. The planters were fabricated from recycled milk and soda bottles and decorated with everything from repurposed acrylic and vinyl to pipe cleaners and stickers.The planters were presented to Cottonwood Center. All this was made possible with the collaboration of Brighton Blooming Buddies, Lisa Snyder, Kyle Sylvester- City of Brighton, John- Tagawa Garden Nursery, and Ms. Samantha Maxwell – teacher from Brighton High School. Pizza generously provided by Papa Johns Brighton. Thank you to all who participated in this fun event!